Ming-Sheng Lee is the founder of Magitech, producer of what many consider to be the most historically accurate and true-to-life Japanese and Chinese PC strategy games. He graduated from Taiei City College of Business in the late 80's when he and a few college friends were thinking of getting into the computer game industry. Since none of them possessed sufficient programming knowledge, Ming then attended Polytech University in New York to get a C.S. degree and then founded Magitech. Ming continues to be involved in all aspects of Magitech's operation, from research, coding, and troubleshooting to marketing and customer feedback. Ming took some time off from working on Strength And Honor 2 to talk about Magictech's latest release, the Sengoku strategic/tactical simulation Takeda 3 (in the following interview, SA is the Samurai Archives while ML is Ming-Sheng Lee). SA: You founded Magitech in 1993. What prompted you to form your own company rather than work for an established developer? ML: I guess I was young and didn't know that earning money can sometimes be more important than the passion. I was naive to think that working for other companies would prevent me from making my own games, so I jumped in, created my own company and started this journey. SA: How did you develop a love for computers and an interest in Japanese history? ML: I got in touch with computers in the early 80’s. I was fascinated by the new Apple II (6502) personal computer and started working on simple animations for the ground works of gaming. I remember my first animated character was a Japanese Ashigaru infantry. Speaking of Ashigaru, the Japanese theme of Takeda was seeded even way earlier when I was in elementary school. My father took me to Japan several times to visit my grandfather. The castles and the samurai were my bed time stories. My addiction to tactics and strategy came from my father also, who always told me fascinating stories of history. Not just battles, but finance, economics, and life experience as well. I use the same tactics and strategies I learned from history in the stock market, which other than strategy games is my other hobby to explore my passion for strategic thinking. SA: All of Magitech's releases to date have been historical simulations, and they have been far more true to history than similar games from other companies. Was the emphasis on historical accuracy done to differentiate the games from other products, or out of a desire to produce a 'simulation' and not just a 'game'? ML: OK. You got me. The emphasis on historical data isn't really meant to differentiate from other games, but it is my desire to make a historical simulation rather than just a game. Many times I was struggling to change the design into something more suitable for the game market, but there is a part of me that always pulls me back to focusing on the simulation. The balance between game play and simulation is always a challenge for us. SA: Can you give us a general outline of the different steps taken in the development of a game? What all does it go through between the initial concept and the final release? ML: First we have a meeting about the concept of the game. If it is a sequel, we discuss features that we would like to add to the game. Normally we write a two-page outline document. We tried a fifty-two page design document once, but it ended up being too complicated. Then we assign tasks and have the team start working on the project. This part is the easiest, but we always have to go back to the design sheets and make some adjustments. Then we have to integrate the other aspects such as the art from the artists and the music from the musicians, more or less putting every piece of the game together. After that, we can start balancing, testing and fine-tuning the game. Part of the team will continue to work on the interface and fix bugs while the other part of the team will start testing all aspects of the game. After we finish the initial testing, we will start working on demo versions for publishers and do localization when a deal is signed with foreign language publishers. It actually takes a lot to finish a game. Coding is the easiest part. SA: Even with an emphasis on history, compromises always have to be made for the sake of play value. What in your opinion was the biggest compromise Takeda 3 had to make that sacrificed accuracy for playability? ML: There are many features we have to give up for the sake of game play or due to a lack of resources to expand a feature such as the number of castles, the number of generals, or the scale of the battles. The biggest one I would say is the death rate of a general. Since Takeda 1, we have tried to create a connection between the generals (the game characters) and the players. To achieve this, we make the characters 'die' at a more realistic probability. The player will need to make a decision between saving his/her favourite general(s) and winning a battle. In Takeda 3, however, we are short of portraits. To lose a general at a realistic, historical probability, the player will run out of characters pretty quickly. Thus we have to tune down the 'death rate' so the players are able to finish the campaign. 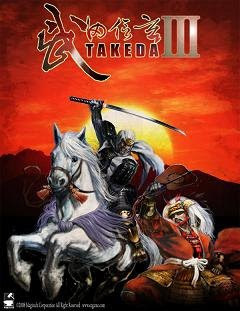 SA: Takeda 3 features graphics that are much more detailed and impressive than those seen in Takeda 2. The 'Multiplayer/Online' aspect from the original Takeda also makes its return. What other improvements and new features have been made to the game? ML: Takeda 3's new improvements are really focused on the castle battles. We've made some breakthroughs in path-finding which allow the units to go through mountain roads in fairly complex terrain and castle layers. This really allows us to make the castles look much more realistic than in our previous games. We also resized the map to show an army’s path more clearly to the player, and we now allow players to build facilities around a castle. These facilities have a direct impact on the player's military and economic strength. 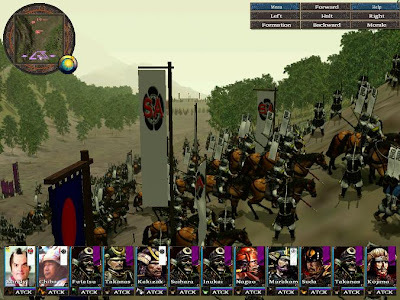 SA: In games such as 'Shogun: Total War' or 'Nobunaga No Yabou', an unskilled player can win by simply outproducing the computer and crushing them with sheer weight of numbers or by using oddball ahistorical superunits like 'sword saints', 'battlefield ninja', or the infamous 'geisha assassin'. 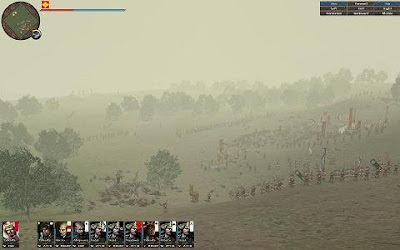 The Takeda series, on the other hand, has proved difficult for many players to beat because it stresses the role of commanders, proper formations and tactics, morale, and especially supply. Careless players who use reckless all-out attacks soon find themselves with all their capable generals dead, losses of horses and guns that far outstrip their production, and huge desertion rates attributable to not keeping an eye on their supply lines. In fact, it's easily possible to win a battle that ruins your chances of winning the game. It makes the game an extremely helpful learning tool for explaining just how difficult it would have been in real life to unify Japan. What sort of tips would you give to someone sitting down to play Takeda 3 for the first time to help them lay down a strong foundation for success early in the game? ML: Watch out for the riflemen/teppo (sorry, I still don't know what to call them properly)! For most veterans of Takeda, mastering a field battle shouldn't be a problem if they properly manage capable generals. The campaign may run into deep muddy ground if the enemies build up strong defences with a high number of riflemen/teppo guarding the towers, however. As for a beginner, I would say carefully plan out your strategy regarding diplomacy. Winning a battle is one thing; but winning a war is another. Choose your allies carefully and watch out for their relationships with one another. You can't make friends with everybody because your friends will fight against each other later and you will be caught right in the middle. You also need to arrange political marriages to cement alliances. For beginners on the battlefield, try to select all your good generals and put them into one army. That should give you a good start. Eventually, you will need to split your army as your territory expands, but by then you should have mastered the battle system. Most RTS players will create a lot of armies to outnumber the enemy. Players might want to keep a few castles to use as supply depots, however, instead of creating armies from every castle. SA: The portraits of the historical figures in the new game are small works of art-detailed, sharp, and colorful. The artist is particularly talented in his depictions of women. Who was this talented individual and how did you end up using them? ML: The artist’s name is 練任 (Lian Zan). Though I have not personally spoken with him, he is a good friend of our Taiwanese publisher. Alvin Hwan, who works for our main publisher in Taiwan, believes in the potential of Takeda's engine and sponsored our Sango project's portraits with his own money. After that, we liked the style of the portraits and decided to upgrade all the portraits for our upcoming games. SA: Speaking of women, Takeda 3 includes dozens of female characters-far more than any other Japanese warfare sim to date. Many of them historically were involved in defending castles during sieges. Game wise, they’re of course useful for 'marriage politics' but also for transferring supplies and troops from one castle to another. What prompted you to include this often overlooked aspect of a woman's role in samurai culture and give them a greater part in the game? ML: It was a time in which women didn't really have the same rights as men in Japan. After researching a few historical records and legends, I decided to include many of the exceptional stories of women in Takeda 3 to tell their stories which unfortunately often get left out of history books. 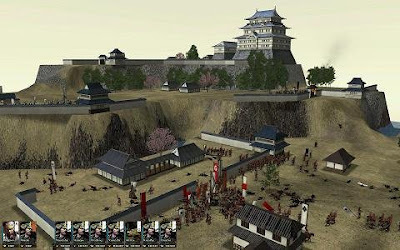 SA: Unlike 'Shogun: Total War' or 'Nobunaga No Yabou', Takeda 3 replicates the actual terrain, layouts, and look of castles taken from historical records and blueprints. They showcase to good effect how even a small force inside a well laid out castle can hold off and decimate a huge attacking army. Were there any castles you had problems finding documentation for, or that had to be substantially altered for the game? ML: We researched many books and sites and included as many details as we could. Almost every castle is based on some sort of historical reference. Sometimes we had only a small piece of a picture or layout from the historical records, but we tried our very best to show what it would look like based on the picture. In many cases, we can only show a corner of the castle. It wouldn’t be possible to present a whole castle like Odawara in the game. Sometimes we have to take out or reposition the gates or rivers to make the castle fit the battlefield. We mostly studied how each castle was taken in historical battles and we tried to present it in such a way that the players can re-visit the history and experience how the battles were actually fought. The biggest problem we have with the castles is the limit of the attacking army's units. Due to the speed of most computers, we couldn't have that many units on the attacking side which sometimes makes attacking a castle very difficult. Although we can reduce the number of defenders, it would create some other game play issues in world mode. SA: The individual biographies for each of the 600+ historical figures in the game are another nice extra feature. From what sources did you gather the information for these? ML: We did the research about the characters in the game mainly from our in-house library books. Most books are imported from Japan directly. I have a personal interest in the history of Feudal Japan so we put a lot of effort into discovering information about each character in the game. There have been some translation errors when we finalized the descriptions, however, and we were fixing some of the errors right until the last few days before the release of the game. SA: Magitech has published games in China and Russia as well as Japan and North America. Which country seems to be most receptive to your games and what do you attribute this to? ML: From the sales side, the Russian market seems to be the most receptive, and China seems to have many players playing our games as well. We are very pleased that we are able to get into Japan's market with a localized Japanese version for them. It shows a great recognition for the hard work that we put in to make the game historically accurate to Japanese history. SA: The staff of Magitech not only develops the games but also plays and supports them once they’re released. This takes the form of answering questions from gamers on the Magitech forums, releasing patches to enhance and expand gameplay, incorporating suggestions from players in future releases, and even taking part in tournaments and online battles with the player base. Does being actively involved with the people who actually play the games help with designing future efforts? Do players ever come up with tactics and strategies that surprise you and weren’t factored in while designing a game? ML: Basically, we love what we do here. It is my passion as well as the team's desire to make these games fun and historical. We feel bad when the game doesn't work as we expected and we try our very best to fix or improve the game in every way that we can. Our friends from the forum do help us a lot in finding bugs that we fix, giving us feedback and suggestions for future developments or improvements, and encourage us to continue the titles even when things don't really work very well. It's because of these friends that have made it this far. When I designed Takeda 1, I expected to see players lose generals and fall into different ending paths. After the game was released, I found out that some players would play the same battle fifty times just to save a generals' life. In the game Sango 1, I accidentally had a general with no skill but setting up fires in the battle of Chang-Ban Po. There were players using this character with one of the best horses in the game to set fires everywhere and turn an impossible battle into a total victory for the player. It is amazing to see players develop their own strategies and tactics using something even the developer didn't think of. SA: What are some of the other games Magitech has produced? What are you currently working on for future release? ML: Other than the Takeda series of games, we also make the Sango series, similar to Takeda but set in China's Romance of The Three Kingdoms' era, and the Strength & Honor series which is set during the Roman era with a map that spans from China to Britain. Different from Takeda and Sango, Strength & Honour is more focused on empire management than battles. An empire's internal conflicts are much more emphasized. 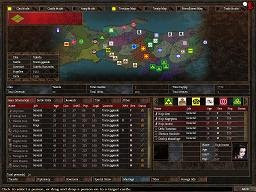 Strength & Honor 2 is our latest game in development and shall be released in the summer of 2009. In the future, however, we are thinking of making casual games and iPhone platform applications. SA: Thanks, Ming. We at the SA wish you and Magitech continued success in the future.